Accessing and organizing home videos present technical challenges due to their unrestricted content and lack of storyline. 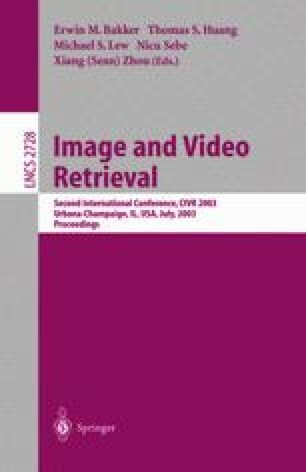 In this paper, we propose a spectral method to group video shots into scenes based on their visual similarity and temporal relations. Spectral methods have been shown to be effective in capturing perceptual organization features. In particular, we investigate the problem of automatic model selection, which is currently an open research issue for spectral methods, and propose measures to assess the validity of a grouping result. The methodology is used to group scenes from a six-hour home video database, and is assessed with respect to a ground-truth generated by multiple people. The results indicate the validity of the proposed approach, both compared to existing techniques as well as the human ground-truth.